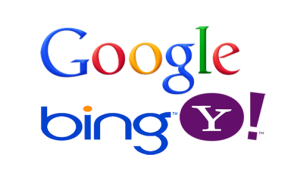 Does Your Website Rank High Google, Bing and Yahoo Search? Our proven search engine optimization (SEO) methods increase your website’s visibility! Our proven search engine optimization (SEO) methods increase your website visibility on Google, Bing and Yahoo, so you can attract more customers and increase revenue. When we start working with you on your SEO, we will tear into your website and its search results like nobody’s business. We will comb through the code like Sherlock Holmes to uncover and correct anything that could negatively effect your search engine ranking. Once we have your on page optimization in place, we resubmit it to the search engines for re-indexing. Even your URLs are critically important for search engine optimization. For instance, your URLs should contain real words, including your keywords, and should be structured in such a way that search engines can easily crawl your site based on your URLs alone. Backlinks are important, but it’s important to keep tabs on the pages that link back to you, ensuring that the links are still active, and that the sites linking to you do not engage in questionable activities. Bad links can hurt your own SEO value. You should also review your competitor’s backlinks to find new possible link partners and improve your search engine rankings.